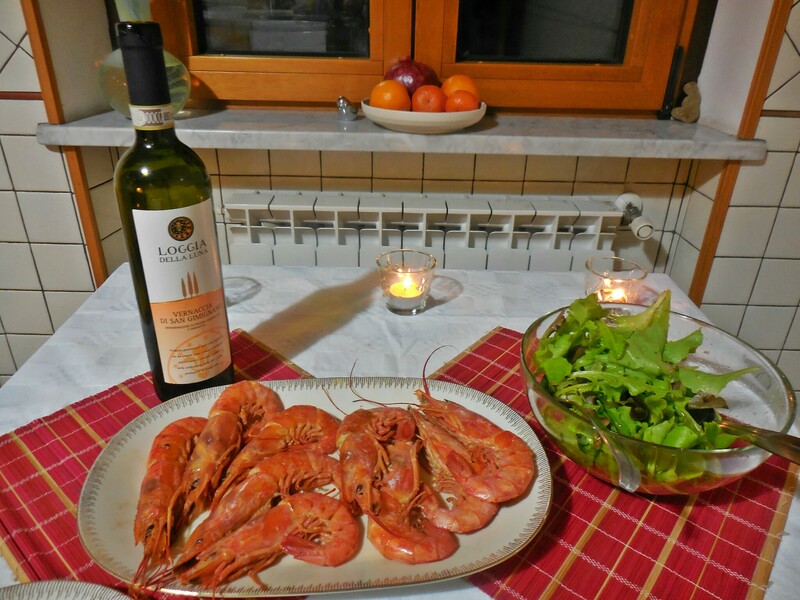 Christmas feasts in Italy begin on Christmas Eve (La Vigilia) with a dinner of fish. 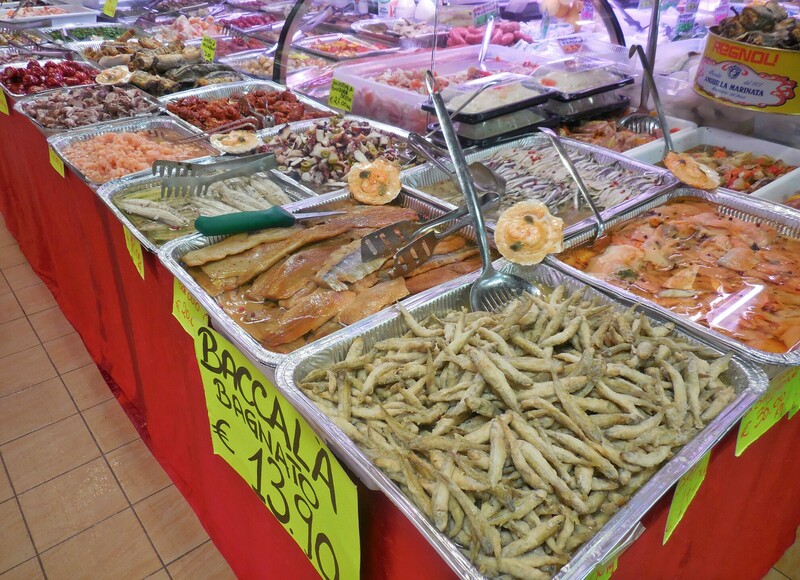 The Trionfale market in Prati which is not far from us, is one of the best markets in Rome for fresh produce so we went there on Christmas Eve morning to stock up for the Christmas meals. All the vendors who normally sell prosciutto and cheese had arrays of various kinds of pickled fish and seafood. We bought rolled eel which Fidz remembered his mother making when he was a child. The fresh fish stalls were packed as we expected and there were lots of varieties of fish and seafood on offer. 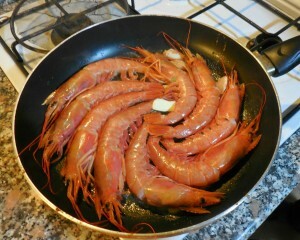 We bought black ink squid and gamberi rossi (red shrimp) from Sicilia. Back in our own small local market, only vendors selling food were open and the sound of bagpipes filled the air. 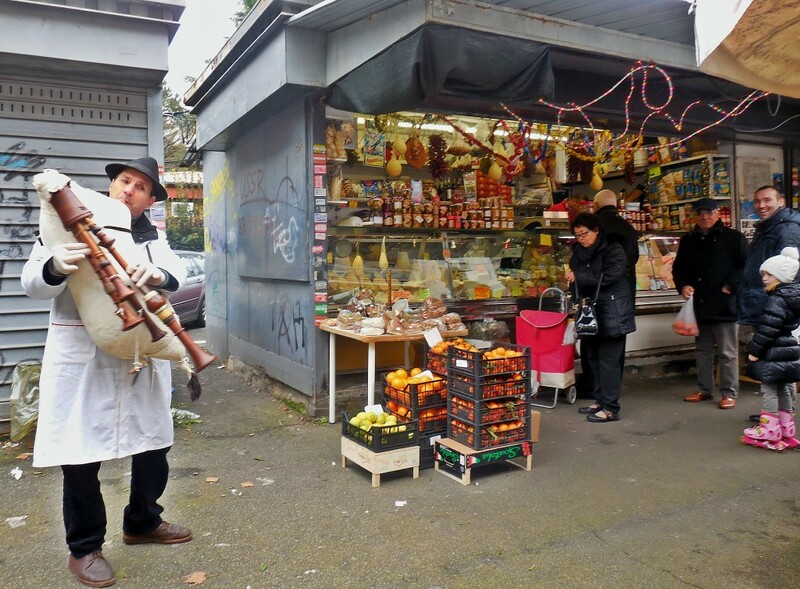 The bagpipe, called a zampogna, is made from a cured goat or sheep hide turned inside out. It is tied off just behind the legs and the reeds are inserted into the neck, as you can see in the picture above. 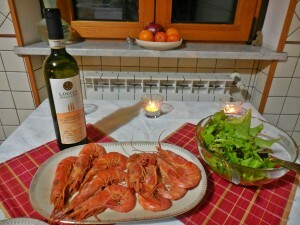 It is traditionally played at Christmas especially in southern Italy. One of the vendors had shut up shop and was following the tradition. 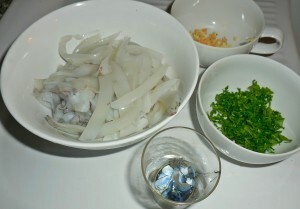 Our dinner that evening consisisted of the rolled eel finely sliced for appetizer. 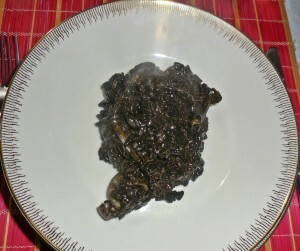 Our first course was black ink squid risotto. 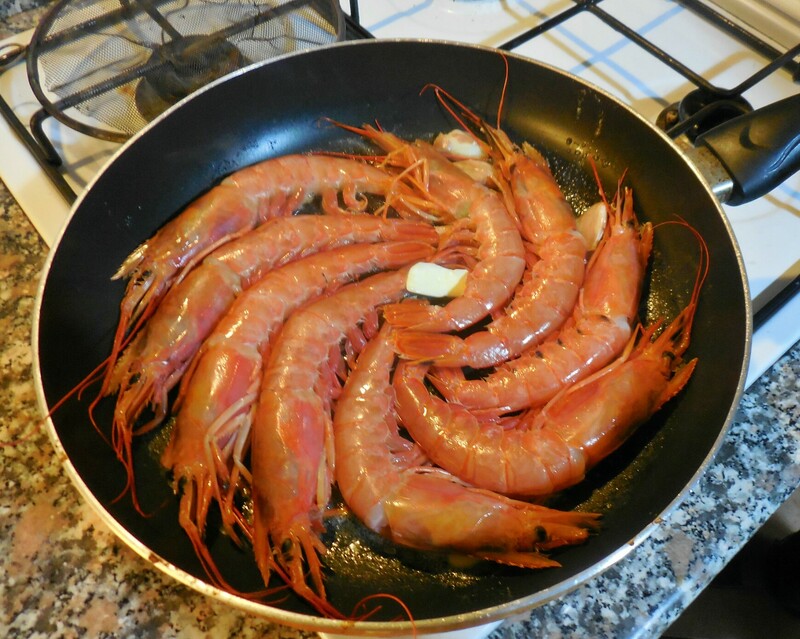 Our second course was the shrimp sauteed in butter and garlic with a dash of brandy and white wine. For dessert, we had panforte which is a dense Tuscan sweet filled with nuts and dried fruits and a Roman sweet called pangiallo which is a bit like a fruit cake. Suitably fortified, we set off for Piazza San Pietro. Of course, we couldn’t get into the basilica as you need to reserve months in advance. However, there are TV screens in the Piazza on which you can watch what’s going on inside. All the Cardinals were in full regalia and the choirs and musicians were in fine form. We got to see close ups of the Pope which would not have been possible had we actually been inside. At the end, Papa Francesco carried the baby Jesus down the long central aisle. I was hoping he might come out and lay it in the Presepio outside but he placed it in another one just inside the basilica. 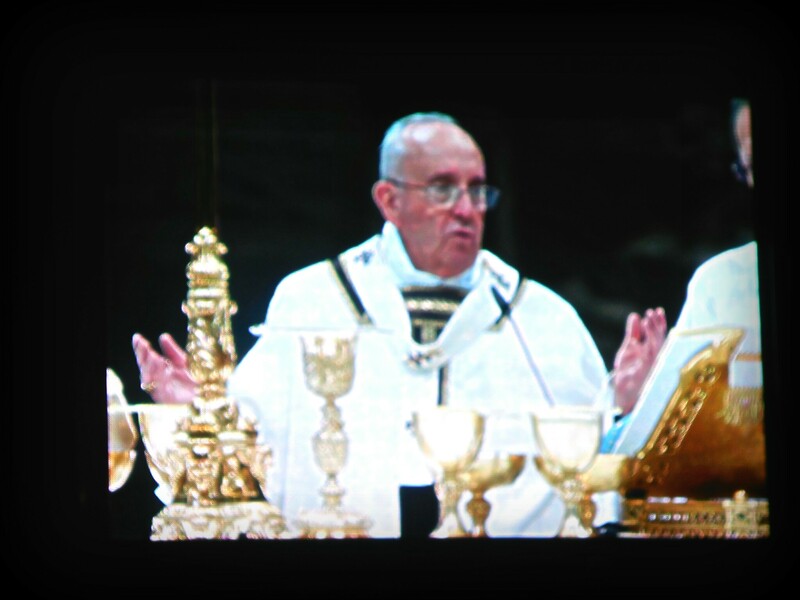 The previous Pope, Benedict, was not up to waiting until midnight to say Mass and started having it at 9.30 pm which Papa Francesco has continued doing. All was finished by 11.30 pm but the streets were busy as we were coming home with lots of people going to various churches for midnight Mass. On Christmas day, Santa managed to find us even in Rome and after examining his offerings we went for a long walk on the Aventine hill. There are three interesting churches here and it was nice to see their Presepi. 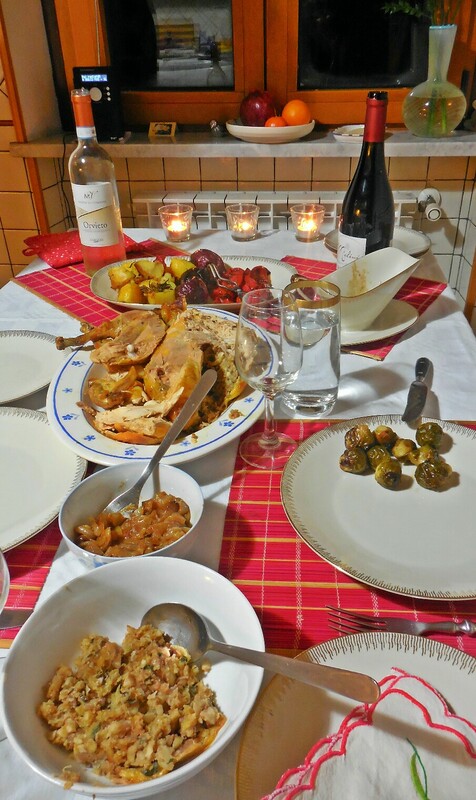 After this we were ready for Christmas dinner. 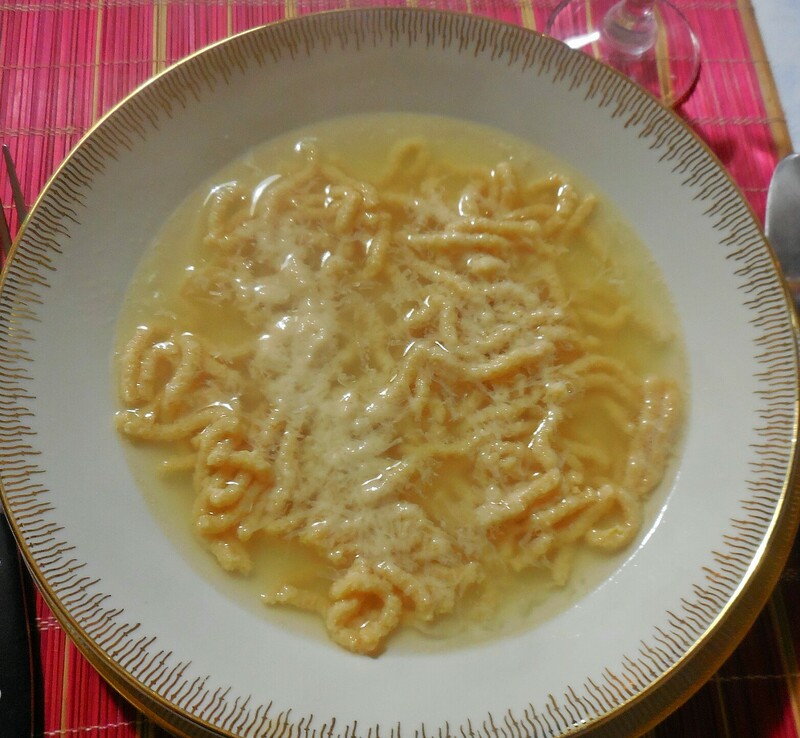 We had pasatelli in broth to start. 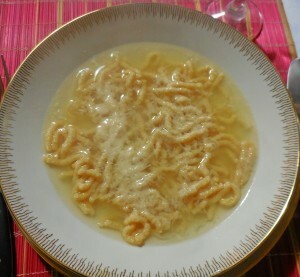 Pasatelli is a traditional Roman pasta made with breadcrumbs, egg, grated parmesan, lemon and nutmeg. 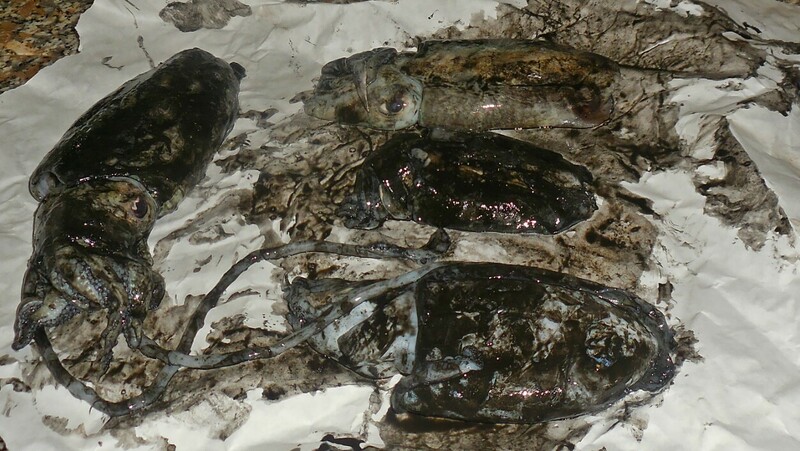 It is made just at the last moment and squeezed through a form straight into boiling broth. This was followed by guinea fowl (faraona) with a stuffing of chestnuts, walnuts, breadcrumbs and sage. I even managed to get Brussels sprouts from a vendor in our local market who grows a few on his farm. You generally don’t see a lot of them in the markets. The only thing we missed was family and friends to share in our celebration. 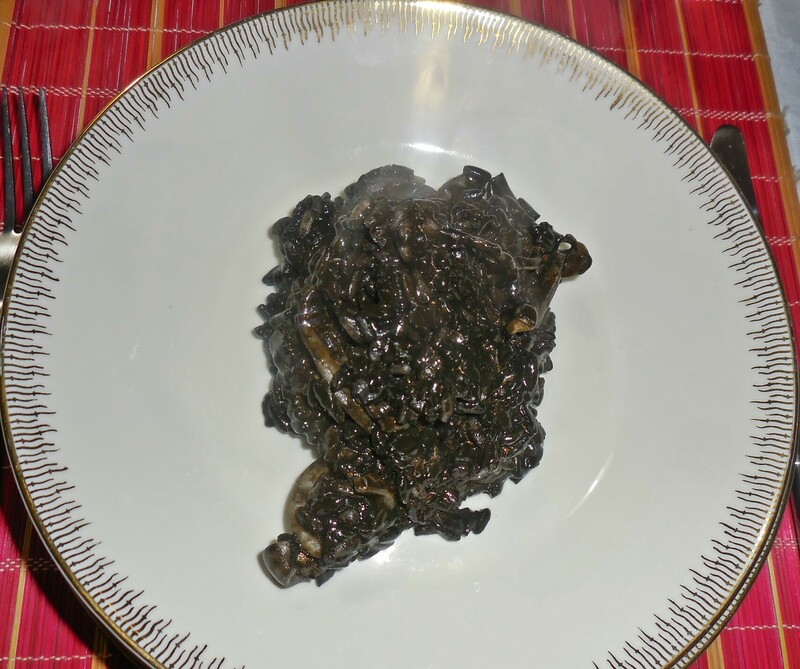 I hope you all enjoyed your Christmas celebrations and if any of you want any of the above recipes, let me know. 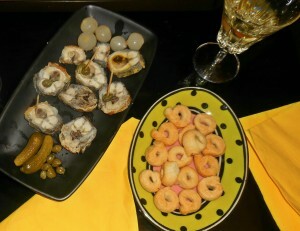 This entry was posted in Food, Living, Rome. Bookmark the permalink.